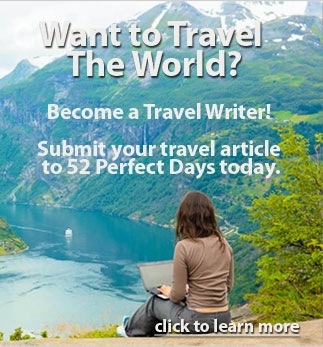 Thinking of an around the world (RTW) trip? 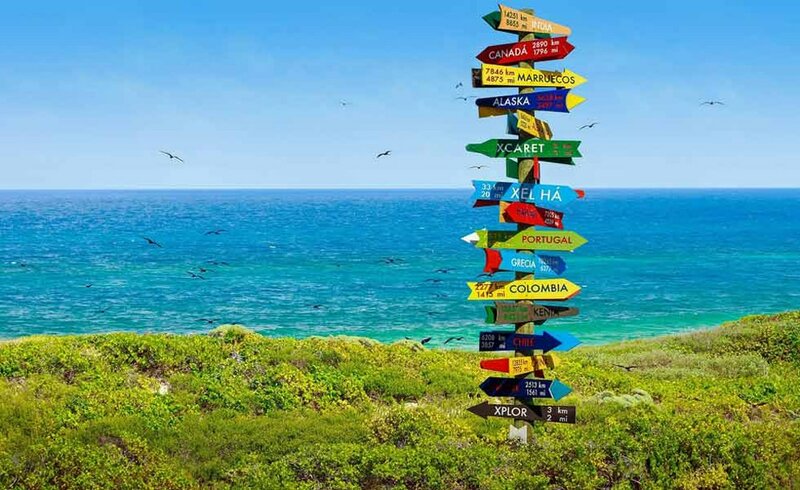 Whether you are a student planning a gap year, a family ready to take your life on the road, or an empty nester ready for an adventure of a lifetime, we have some advice from those who have already taken the plunge. 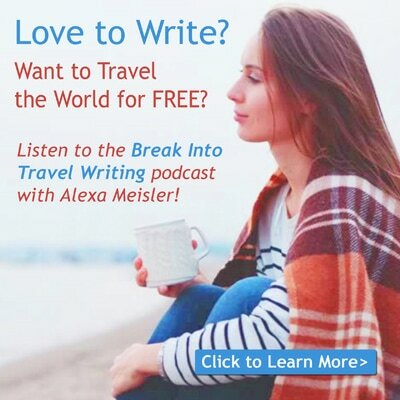 I asked 19 travel experts to share their top tips for RTW travel, how they researched and budgeted for their trip and the favorite stop on their RTW trip. I’m positive, these stories about travel around the world will inspire you to plan your own RTW trip! I took 4 months to travel from Australia (where I’d been working for 2 years) back home to the UK. 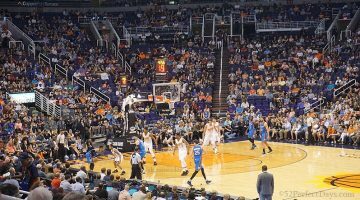 I wanted to pack in as many experiences as possible into 4 months as I knew my travel opportunities would be a bit limited for a few years when I got home. So I was a little over ambitious and managed to squeeze in 10 countries! My route took me through the Australian outback into Thailand where I spent a week sailing around Thai islands. I took the well-trodden indo-china loop through Thailand, Cambodia, Vietnam, and Laos before traveling to Indonesia via Malaysia and Singapore. I then hopped over to East Africa and spent my final 3 weeks on safari in Kenya and Tanzania. Because my time was limited and my plans were ambitious, I decided the best way to fit a lot into such a short time was to take several adventure tours. I took several tours with G Adventures and Intrepid. Its a faster-paced way of travel but I had some incredible experiences and made some amazing friends en-route. The Cost: It is a slightly more expensive way to travel and my trip cost me around £12000 but I took a lot of flights and 6 tours in this time. When I have the luxury of time, I travel a lot slower savoring my time in each place. But when I’m short of time I still occasionally take a small group tour. I’m so torn which was my favorite countries I visited during my whirlwind RTW trip but it’s probably a close tie between Laos and Indonesia. Both Kwang Si waterfalls in Laos and The Gili Islands in Indonesia are incredibly relaxing places where I could recover after some fast paced travel! Number of Places Visited: 5 continents and 22 countries. During preparations, we were overwhelmed by all the information you can get online about buying your flights, but after all the research we decided to go for a combination of flexibility and affordability. Instead of RTW tickets, we bought all our flights separately. For the total of 9 flights, 4 of which were intercontinental, we paid 2368 USD per person. 1. Consider other forms of transportation. In some places (like South America or Russia) it might be cheaper to take a bus, train or even a ferry. 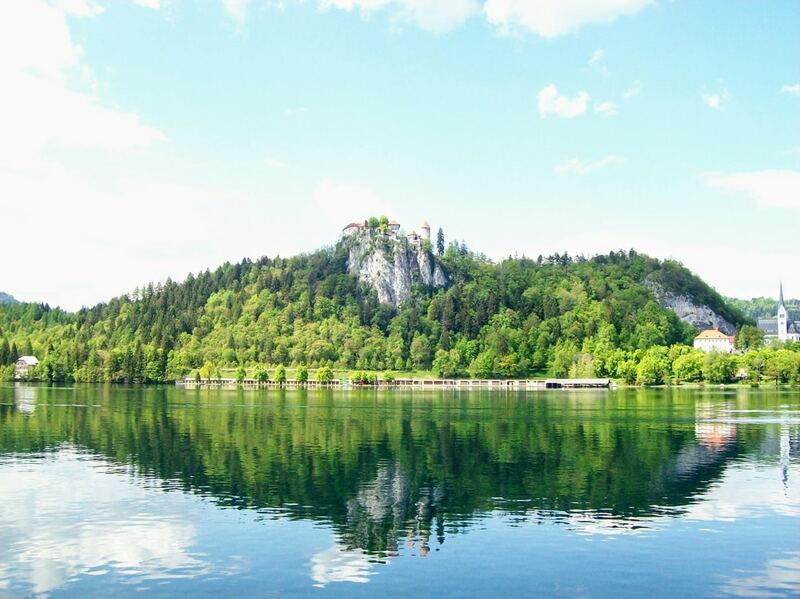 Pros: beautiful views and possibly money saved on accommodation. Cons: can be less comfortable and takes longer time. 2. 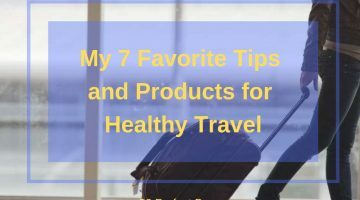 Take advantage of frequent flyer programs. For our first class ticket from Singapore to New Zealand, we paid 49 USD per person, thanks to previously collected bonus points. 3. Book less of the trip in advance. You don’t have to plan your trip 100%, and if you fall in love with a tiny fisherman village, you can stay there longer. 4. Make yourself familiar with RTW tickets limitations. 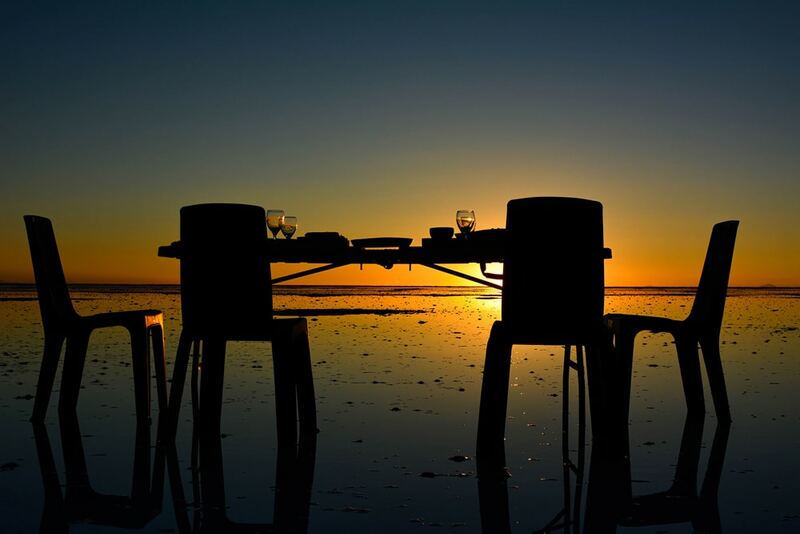 It would be a pity to compromise on a trip of a lifetime because of a few formalities. 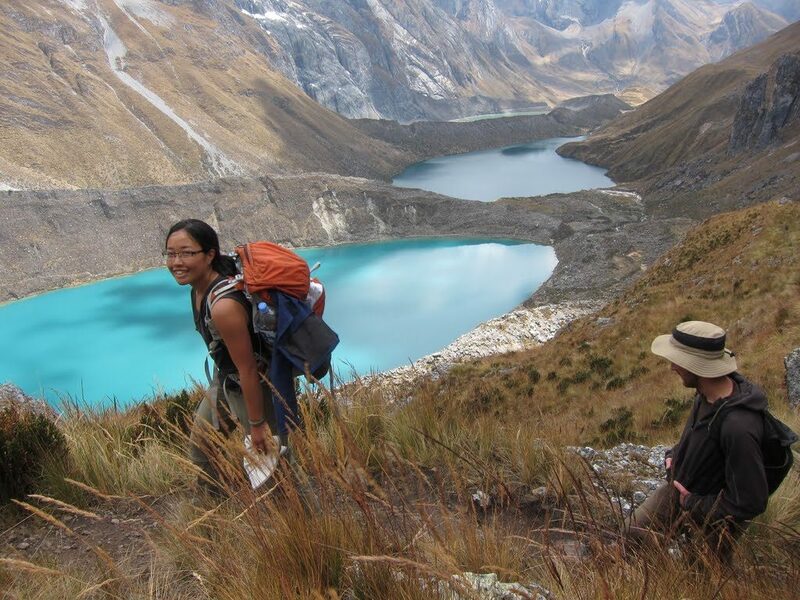 Favorite location: While we visited many incredible countries, during this trip, we left our hearts in Bolivia. Bolivia’s nature is absolutely stunning; its quaint charming towns and friendly people are so inviting that you just don’t want to leave. 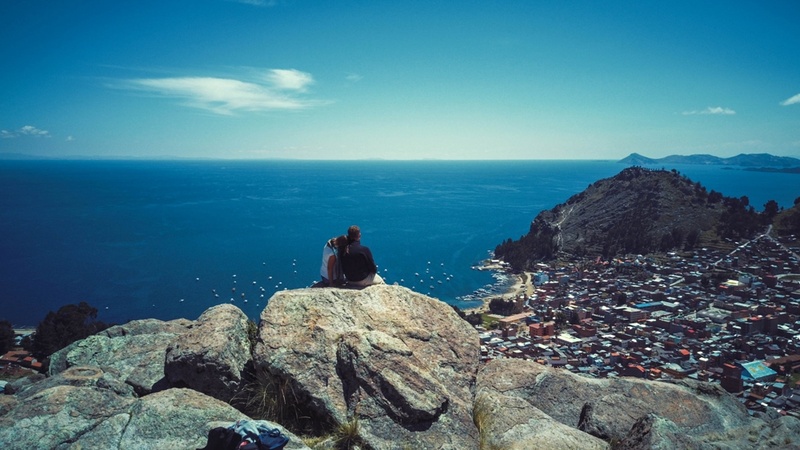 Salt flats, lake Titicaca, archeological sites and rainforests – it’s truly magnificent. We did a quick RTW trip and in 4 months visited 8 countries. Some were popular locations and some less common. As we live in the Czech Republic, it is not the usual country to start an RTW trip. Because of this, we couldn’t use any special tool for buying RTW air ticket as they are very expensive especially when we wanted to visit countries such as Uzbekistan or Bolivia. We made a basic plan and choose some spots/countries we wanted to visit and how long we want to stay there. Then we monitored airfare prices and bought the tickets at the cheapest price. The result was that we bought tickets even on the jump and not in the order we wanted to fly them. That means we added some stops because we founded a cheap flight there. We bought the first flight ticket about 6 months before departure and the last one about 2 months before we left home. A good destination where you can stop on the RTW trip and usually buy very cheap tickets is South-East Asia as there are many low-cost carriers. Another very good and usually cheap route is Sydney-Honolulu because there is daily service of Jetstar Airways. 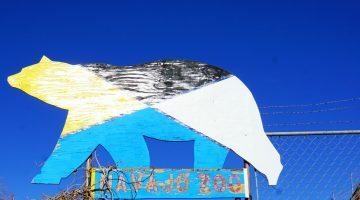 Bolivia was our dream for a few years because this country can offer a very broad variety of activities for any traveler. We enjoyed bike downhill on the Death road, visited huge dessert covered with snow or visited active mine. Our RTW trip was the best year of our lives. In addition to numerous trains, buses, bicycles, and boats, we took 30 flights on almost as many airlines. A lot of planning goes into RTW trips, and sometimes that can be overwhelming. But if you’re going to take a year off from your normal life to travel, you might as well have fun planning it too. Here are our top tips to help you out. Start planning early. We started planning nine months in advance. From creating bucket lists to budgets to thinking about what we would pack and how we would store all of our belongings, there’s was a lot to plan. The earlier you start working on everything in an organized way (we used a lot of spreadsheets), the better. Know yourself and your travel style. Are you a planner or more laid back? Do you like luxury accommodations or hostels? Do you like seeing all the sights and attractions or just soaking in the local vibe of a place. Don’t worry about what you see on Instagram or other blogs. This is your trip, so do what makes you happy. Plus, your style will impact your budget, itinerary, and what you do every day, so it really is important. Decide if you want to buy an RTW ticket. This should happen pretty early in the process since it will significantly impact your itinerary and budget. We ultimately decided against an RTW ticket because we needed to return to the US twice, and they aren’t cost-effective if you’re backtracking. Booking everything separately takes more planning, but gives you more flexibility. Favorite location: We have a hard time picking a favorite destination from our trip. One of the best was our month-long road trip in New Zealand. We traversed both the North and South Islands and saw the most breathtaking landscape and interesting animals. It was a truly special time. As we’ve been constantly traveling around the world over the past five years, we’ve now taken a few RTW trips. Yet during our most recent journey, we took a unique approach by traveling entirely around the world without using any flights! Instead, we traveled overland using public transit, in addition to our secret weapon of utilizing repositioning cruises to cross the world’s oceans. Repositioning cruises are seasonal voyages in which a cruise line relocates a ship from one part of the world to another. The lengthy and exotic itineraries sometimes aren’t attractive to cruisers, so prices can become heavily discounted in an attempt to fill the ship with paying passengers. So our strategy was to take advantage of these discounted fares as our primary means of transportation. In doing so, we essentially pieced together a cheap world cruise! 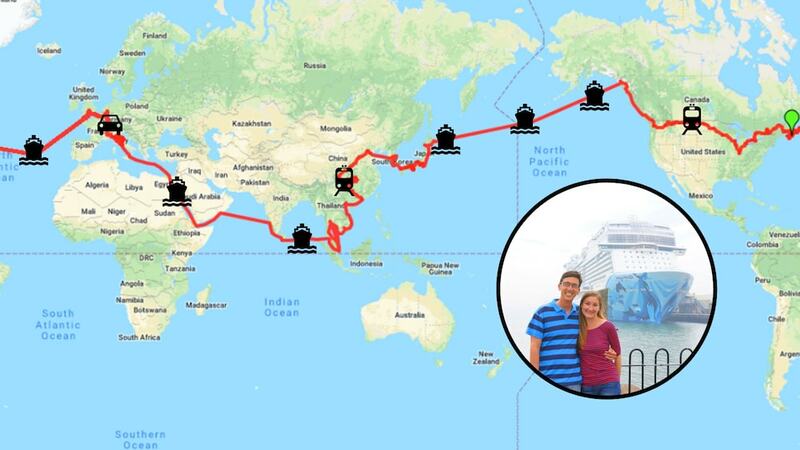 This RTW trip was a total of 10 months, including 2.5-months cruising around the world on four different cruise ships. We visited over 100 different locations during this time and stayed in 74 different beds along the way. One of the nice aspects of cruise travel was being able to sleep in the same place each night while being transported to an interesting new port to explore while we slept. 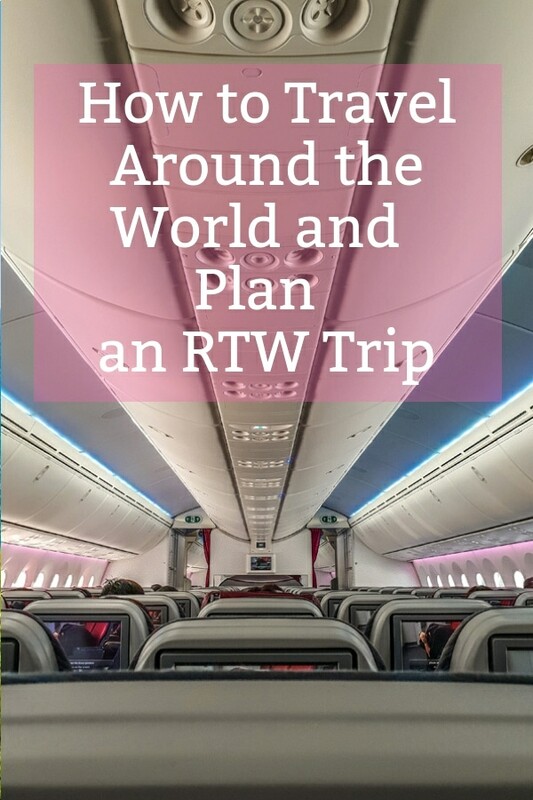 Our RTW route zigzagged through some of the most expensive countries in the world, including Canada, Japan, South Korea, China, Singapore, Italy, France Switzerland, and the UK. Despite the pricey locations and traveling by luxury cruise ship, we were happy that our budget held strong at about $60 per day per person, inclusive of all costs. The best part is that we didn’t have to spend a dime on flights! The total trip cost came to $19,000, per person, for the entire 10-month journey. We traveled at a fairly fast pace during much of the trip, often stopping in places for just a few nights at a time. But we did slow down on few instances by pursuing month-long stays in Canada and Japan, plus half-month stays in South Korea and Italy. Maintaining a fast pace for long stints can admittedly become exhausting, but the luxury of cruise ships on sea days gave us plenty of time for rest & relaxation in between our aggressive itineraries overland. In doing research for this RTW trip, we tried to nail down the repositioning cruises first, then fill in the overland gaps in between. The repositioning cruises are one-time voyages, so that helped to provide some time constraints while traveling overland. Then we tried to pack in as much as we reasonably could while researching and ultimately doing the activities we enjoy the most, which gravitates towards adventure experiences. We purchased our cruise tickets on various sites and agencies, depending on the deal. We often held out to actually make those purchases last-minute, as rates can sometimes hit their lowest just before the cruise embarks. But it’s a risky proposition, as rates can also go up and even repositioning cruises do sell out. Our biggest tip for planning an RTW trip is to nail down a handful of destinations that are highly intriguing for you to visit. Then try to connect those points of interest as economically as possible, whether that be by land travel, budget flights, or repositioning cruises. We suggest spending on all the wonderful things you can experience in a destination, rather than spending on getting there. As for utilizing repositioning cruises, it can be an extremely complex procedure to attempt to line up an entire round the world trip in this fashion. Instead, we recommend trying to incorporate a repositioning cruise into one leg of a RTW trip to see how you may like it. The most common repositioning cruise that can be found are Transatlantic. Look for those running from the US to Europe each spring and from Europe to US every fall. Favorite Location: It’s tough to pick a favorite location, because we genuinely enjoyed every single place we visited so much. But if pressed, we’d say Japan was a favorite during this RTW. The food, the culture, and the beautiful scenery all really clicked with us during the month and a half we roamed around the country. Deciding to visit the US from Australia is a fairly long trip, so I decided if it was going to be big – it needed to be huge. Back in 2007, I was still using travel agents to help me form an itinerary. I ended up with something that looked like Australia to US to UK to Germany to Israel and back to Australia. The Cost: The biggest thing I found was whether Israel would be considered Asia or Europe. For the purposes of our RTW, it was considered Asia and therefore fit into an RTW ticket. Tickets were roughly $3,000. It included several flights within the United States as well. I spent roughly $100 – $200 per day. Back in those days I enjoyed vacations and splurged regularly. These days I’m much more travel savvy. I could do the same trip for half the price if I was to redo today. Itinerary: I went for nearly 7 weeks. 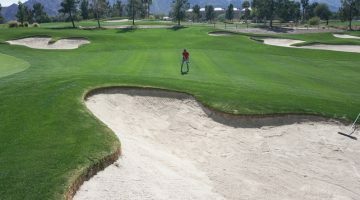 Approximately 3 – 4 weeks were spent in the US. I spent 3 nights in Hawaii, 3 nights in Hollywood, 3 nights in Anaheim, 3 nights in San Diego, 3 nights in Las Vegas, 7 nights in New York with a day trip to see Niagara Falls and one night in Washington DC. From the US I flew to London, then to Munich in Germany. With a day trip to Switzerland. My flight to Israel had an 8-hour stopover in Madrid, Spain so I made it there as well. I then spent nearly 2 weeks discovering Israel. The way home was long. Israel to London, London to Singapore, Singapore to Perth, Australia. I think I took about 13 flights with One World Alliance- Qantas, America Airlines, etc. All airlines went smoothly and worked well together. My biggest tip when booking RTW is to check one-way ticket prices before booking a RTW. Often you may find cheaper tickets doing it yourself! My Favorite Location would have had to be New York. It was my first time and it was everything I saw in the movies. The Statue of Liberty, the shopping, I adored it. Israel was also eye-opening. I’d always been scared to visit, but it was incredible. When we sat down to plan our yearly travels we had destinations scattered across 5 continents on our list. So we knew that THIS was the time to use our little stash of Frequent Flyer Points on a OneWorld Round The World flight ticket. we became obsessed with earning points. The card came with a 50,000-point bonus and we began putting all of our monthly bills on credit, bought all of our groceries on credit, and even found a 3rd party company that allowed us to pay our rent on credit. Then we came up a killer itinerary to get the most bang for our frequent flyer bucks, put it through the wringer to avoid going through airports with high taxes and tariffs and finally called to book! In 2015 my boyfriend and I left to Australia with a one-way ticket. We didn’t plan how long we would travel, but eventually stayed abroad for 1.5 years and traveled to 11 countries. The Cost: Before we left we saved up 6000 euros each, sold what we could, and quit all the subscriptions to make sure we barely had any expenses during our trip. Our RTW tip for people that want to do the same and those that want to start their RTW trip as soon as possible with little money, we recommend going to a country like Australia where they offer a Working Holiday Visa (always check requirements if you’re able to get this visa). With this visa, you can work for a certain amount of time, have a unique experience and save up money to see more of this world. Of course, there are more countries that offer this visa. After Australia, we left for Asia and used the money that we earned to backpack to some amazing countries. Our favorite location during our RTW trip was definitely Nepal. The people here are so friendly, nature is amazing and we love Nepali cuisine. When I was a student, the round the world flight maps at a local travel agent would always catch my eye. One day, I told myself, I will do a trip like that. Over a decade later, I took the plunge and contacted Flight Centre UK, which has a dedicated round the world airfares team. Over the coming weeks, a consultant called Adele helped me create my dream trip itinerary. She was patient, researching various options and reassuring me that the flight dates along my chosen route were flexible. I planned to spend about a month in each country, except for New Zealand where I’d stay longer on a temporary work visa. 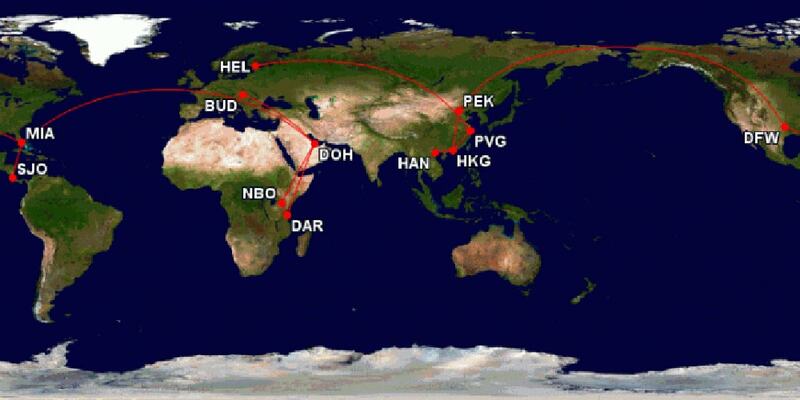 My final schedule had eight stops, from India, through Southeast Asia, to Australia, New Zealand, and South America. The Airfare Cost: The £3000 airfare price was calculated by miles traveled and depends on the continents you want to visit. While it’s a lot of money, it’s cheaper than booking all the flights separately. As I embarked on my long-awaited trip of a lifetime, I was happy to have a plan ahead of me. Adele was on hand when I inevitably decided to change my flight timings because I had fallen in love with a place and wanted to stay longer. Favorite locations: I ended up staying in Bali for two months, as this island’s beauty, spirituality and laid-back lifestyle captivated me. 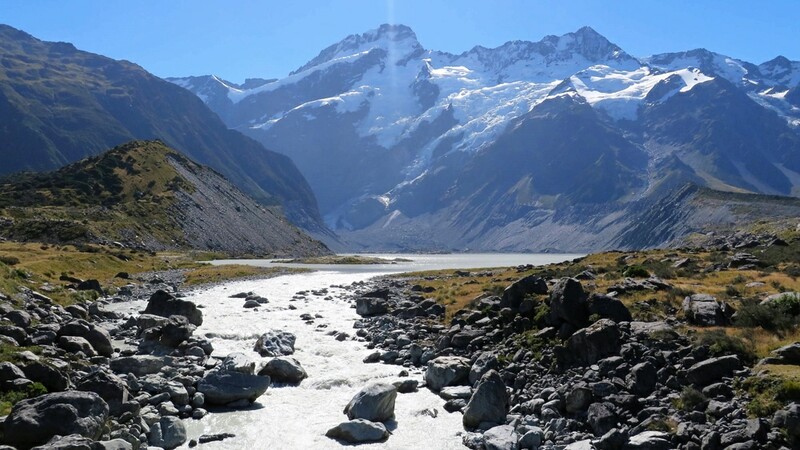 I also adored New Zealand, a stunningly gorgeous country with friendly locals. Some of the South Island scenery is so vivid, you feel like you’re seeing a photoshopped version of real life. 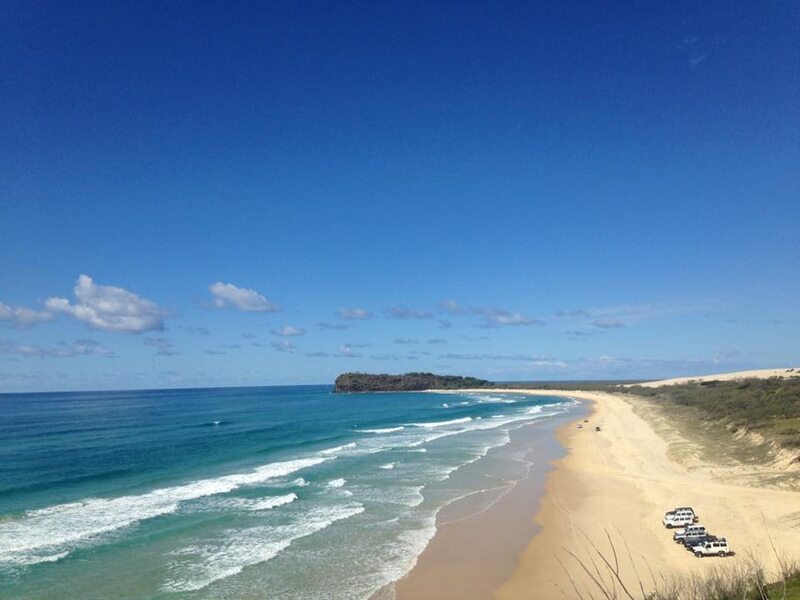 In 2015, I decided I wanted to take do a Working Holiday Visa in Australia and quit my job. this was going to be a big trip, and I thought, why not combine it with other places around the world!? I set about looking for flights but realized it was going to take a lot of time and planning booking several different flights through different airlines. A friend mentioned STA travel for booking RTW trips, but as someone who likes to organize things without a company, I was initially skeptical. However, after a look around the website, some of the multi-stop flights they were offering were amazing. I eventually booked London – Manila (1 month in the Philippines), Manila – Sydney (1 year in Australia), Sydney to Auckland (1 month in New Zealand), Aukland to Fiji (2 weeks in Fiji), Fiji to Los Angeles (2 weeks in the USA) and New York – London. The Airfare Cost: That was 6 separate flights, and it cost me around 1400 GBP, a price I think is amazing. I went on to use STA travel for flights again to book a multi-stop trip to SriLanka, Singapore, Bangkok, and Delhi, again because of the amazing price. This time I added on the choice of changing dates. I paid an extra 75 GBP and was allowed to change the dates of my flights free of charge (if there was availability). I did this with my flight to Delhi from Bangkok as I was enjoying Thailand so much, and it was a simple and easy process. My favorite location was Australia. The diversity you can find in one country is amazing: beaches that run for miles, bustling cities, rainforests, deserts, mountains and everything in between. I love animals and so the range of different animals also drew me to Australia. The country itself is quite expensive for traveling, however, if you combine it with working, the wages are high and so it is a lot easier to travel. $2000/month per couple seem to be the average budget one can expect to spend regardless of routes and activities. My husband and I went on an around the world trip for 11 months, visiting 12 countries. If we were to do it all over again, we would do the same thing we did: buy a one-way ticket and work our way overland as much as possible. We created “anchors” – big experiences we wanted to do scattered throughout as some sort of a path to guide our way. For example, we committed to do some volunteering experience in Banos, Ecuador. 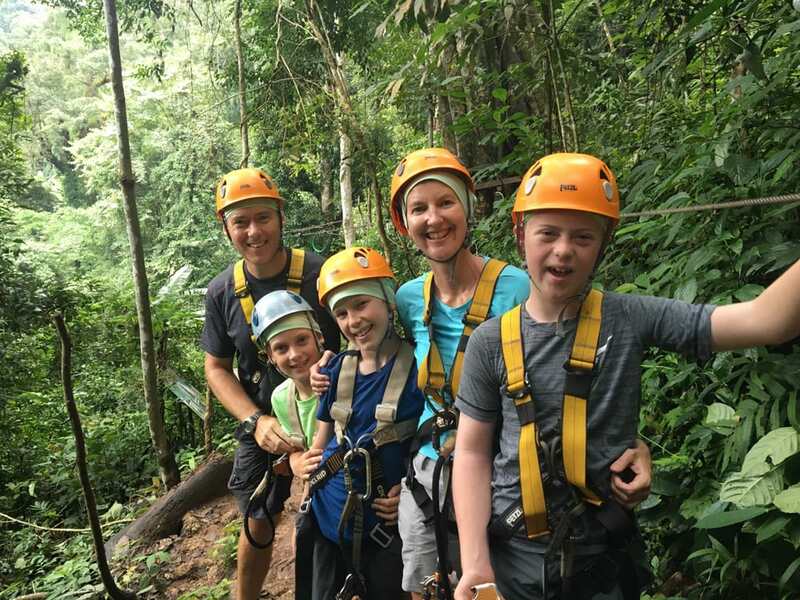 We also knew we wanted to do Huayhuash Trek in Peru that needs to be done when the mountain passes are open.. Then I wanted to spend time with my family in Indonesia. This created some constraints in our decision making in terms of timing and routes, which made it easier in a way. It can be overwhelming when the world is truly your oysters. The Cost: When we left we had a specific amount of money saved up (about $23k for both of us) and we said, “we either go for one year or until the money runs out.” The latter happened around month 11. 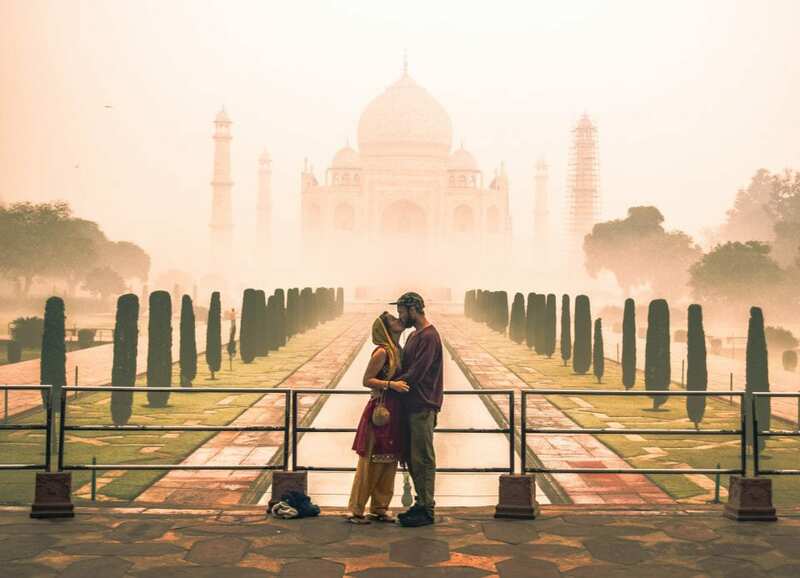 After our trip, I asked around other couples who went on RTW trips and found that surprisingly, $2000/month per couple seem to be the average budget one can expect to spend regardless of routes and activities. Our favorite location: I think Jack and I can mutually agree that South America is our favorite region we visited on this trip. I’m quite partial to Peru. Jack might say Ecuador. I don’t think it’s a coincidence that these are the 2 countries we spent the most time in (6 weeks in Ecuador, 4 weeks in Peru). What we loved most about doing an RTW trip is the ability to stay and “hang” in countries that we enjoy. Something I truly miss now that we go back to doing “normal” trips. In 2016/17 we undertook a nine-month round the world trip as a family of five. Our three boys were 8, 10 and 12 at the time of travel. 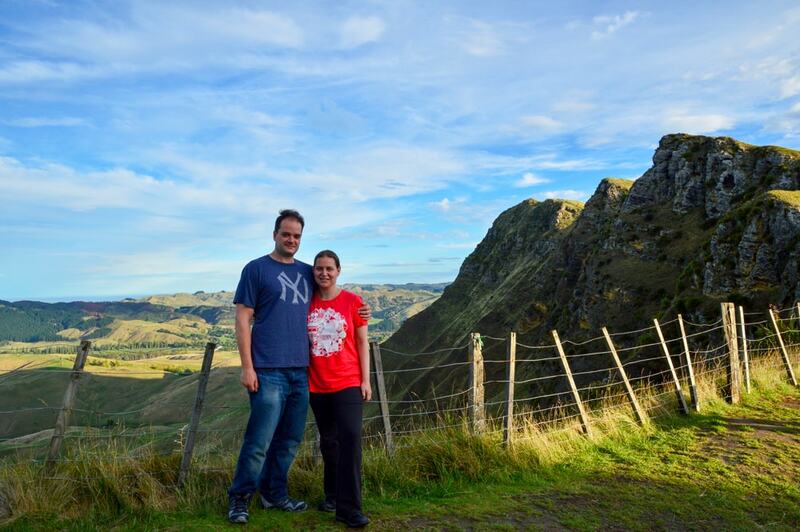 We spent just three months planning our trip and organizing our lives in the UK. Our route took us from the UK to China, and then on to SE Asia through Singapore, Thailand, Myanmar, Bhutan, Laos, Cambodia, Vietnam and Indonesia. From here we traveled on to Australia, New Zealand, and Fiji, before heading home via the USA, South Africa, and Mauritius. Our trip was all about family time and the chance to explore the world together, building lifelong memories. We were conscious that our children were growing up fast and we wanted to do a big family trip before they hit exam years! 15 countries visited, 28,000 miles and countless memories made. The Cost: We purchased around the world flights for our trip, amazing value at £10,000 for the five of us. Twelve international flights in a loop around the world. We supplemented these with budget airline flights, train, bus and boat travel. Primarily, we stayed in 2 and 3-star hotels and guesthouses, occasionally renting an apartment when it was cheaper to do so. Costs varied depending on where we were traveling. SE Asia was cheap to travel in, with us spending about £150 per day. Australia and New Zealand much more expensive (comparable to the UK), with us spending more like £250/£300 per day. Our favorite locations vary between us all. 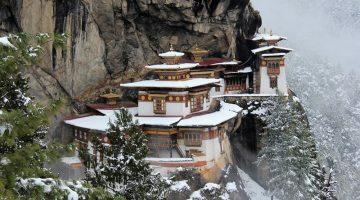 Mine was Bhutan, a fascinating tiny country in the Himalayas. A country with breathtaking scenery but seemingly standing still in time. The boys loved road tripping through New Zealand in a camper van and the time we spent in Australia. We began our round the world adventure with a start point, an end point and no plan in between. We were living in Germany (my partner’s home) and decided we would end up in New Zealand (my home) whenever the time was right. We saved for two years, drew up a travel budget and planned a rough route of places we wanted to see along the way. The Cost: We planned to spend an average of €50 a day between the two of us and 16 months in, we’ve managed to keep this to an average of €40 including all flights, visas, accommodation, and food. The hardest part for us is striking the right balance between having it planned out so we don’t need to stress about bookings or get overwhelmed by all the options but also leaving ourselves open to changes in plans and being able to go with the flow. We like to plan our entrance and exit dates for a country and then plan 2-3 days ahead so we can stay longer in places we like and move on when we don’t enjoy somewhere. Visa allowance often dictates how long we stay in a country but we’ve found 3 weeks to a month to be a pretty good amount of time for seeing all the main places. We stayed much longer in India (4.5 months) because it’s so big and Georgia (3 months) because we loved it so much! When my wife and I started talking about a trip around the world we knew that it was going to be an expensive proposition. We were already fairly frugal and considered ourselves savers but to fund a year abroad we knew that we would have to take it to the next level. To make sure that we accomplished our goals we set it up so that we saved money straight off our paycheques before we could spend it and steadily increased our savings rates as we received raises. Any surprise money (bonuses, presents, tax returns) all went into our trip savings as well. We did still spend some money and didn’t live like total misers while dreaming of our trip abroad, but what we did spend was done so thoughtfully and according to our values. For instance, we went to Japan for our honeymoon, Cozumel for a dive vacation, and went on several ski trips with close friends. When most think of a trip around the world the immediate thought is that it would be way too expensive and that there’s no way you could afford it without millionaires. We recognize that we were privileged to have well-paying, stable jobs, but we mainly funded our trip around the world by avoiding keeping up with the Joneses. We had an old reliable car, we didn’t buy the latest iPhone, and we rented our cozy house in Calgary. There are a lot of things you can spend money on, and it’s easy to do so without realizing it. If travel is important to you, set a goal and work towards it. You’ll be surprised at how achievable it is. 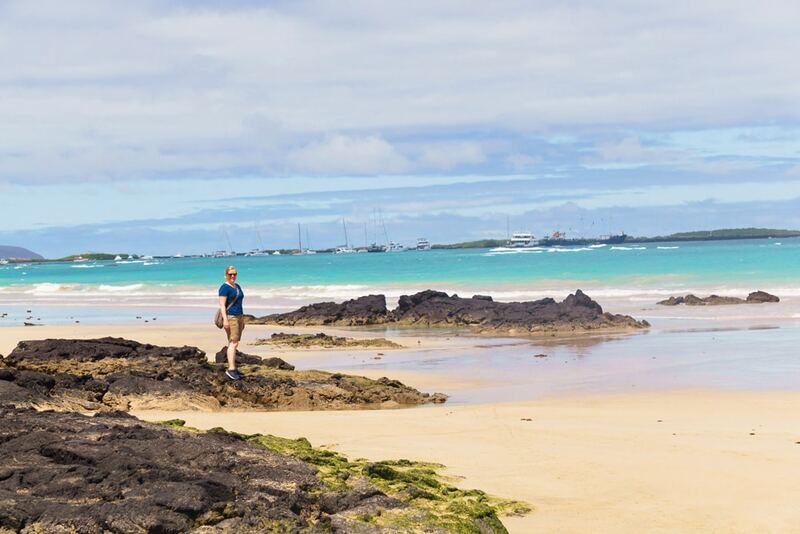 My favorite Location: Our favorite location is an impossible choice, but if I had to pick one it would be the Galapagos Islands, specifically Isla Isabella. This island is predominantly a protected national park and has the smallest population of the inhabited islands. It is teeming with wildlife and the diving is absolutely incredible. I didn’t buy an RTW ticket but I spent a year on the road, traveling in Europe and Asia. One of the best tips I can offer is to research beforehand where you want to go and which areas you want to visit. It doesn’t have to extremely precise, but just have an overall vision of your itinerary. You’ll then save a LOT of money on flights/trains/bus rides. Since you’ll have an idea of the places you want to visit, you can do a proper research like “how to get there from here”, what’s the cheapest way to go (bus, plane, train…), how long does it take, etc. For instance, you might be in Belgrade and want to go to Bucharest. You’ll then realize, there’s no bus nor trains going to Bucharest, just flights a few times per week, the next one being in four days. During my trip, I visited about 30 countries. Sometimes I just stayed a few days, sometimes a month. 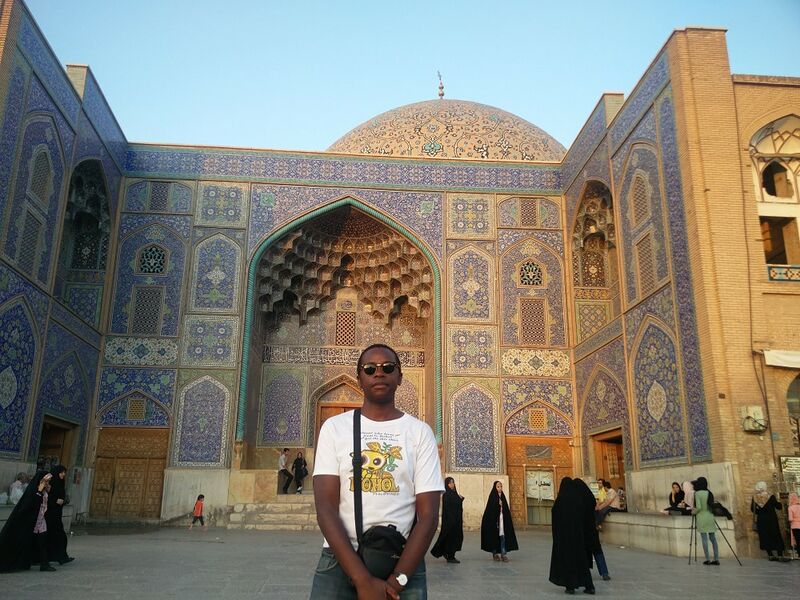 My favorite destination was Iran. People are lovely, hospitable and so friendly. They’re happy to see tourists visiting their country. Moreover, the food is delicious, and as a tourist, there are many places to visit in this beautiful country. I did an around the world trip a few years ago and went to New Zealand, Asia, and Europe. I bought my ticket from a student travel agency because it was my first trip overseas (go big or go home!) and thought that would save me some hassle. It was fine, but I definitely paid more than I should have and I wouldn’t do that now. Online all the way! I didn’t do much research at all! The best way to find out what to do is talking to other travelers. Staying flexible is the key to enjoying your trip. The Cost: All up I spent about $15,00, or about $70 a day. You could do it for less, but I don’t think it would be enjoyable. It’s easier to keep costs down in places like Asia and Eastern Europe. Plus, travel within those continents is very cheap. Flights in Europe can be €10! My favorite destination was Budapest because I was never meant to go there! I was bored of the city I was in, so went to the train station. There was a train to Budapest leaving in 20 minutes so I jumped on board. Budapest was amazing!! A fantastic vibe, loads to see and do, a fascinating history and great nightlife. Everything a backpacker wants! We took an Around the World trip that started a bit by accident. We both had time off in the Spring, so decided we would do a few small trips. We started with wanting to go to Finland but also found a great deal for a trip to Bali. So, as soon as I realized we could do an Around the World trip if we added somewhere in the middle between the two, I was all for it. An Around the World trip had been a dream of mine, and this was the perfect time to make it happen. We planned for about 2 months before we left, but that was mainly tacking down dates and deciding which countries we would go to. We did our Around the World trip in just 65 days, as that was all the time we had available. We went to 4 countries and took 17 flights and 21 boat rides. We started in snowy Finland and traveled all over Lapland. Headed to Dubai, and then the Maldives for 2 weeks, where we hit both resort and local islands. Then we finished our last 30 days in Bali, Indonesia. Our one tip for an Around the World trip is if you are purchasing your airline tickets as you go, (we did this as well) just be sure to have an exit ticket from the next country you are traveling to. We could not leave Maldives until we purchased our exit ticket out of Bali. They would not let us check in for our flight. The Cost: We ended up spending way too much money since it was a spur of the moment ticket from Bali to Los Angeles. If we had known, we could have purchased in advance and saved money. One Last Thought: Just be sure to know the rules of each country, if you are trying to take it one day at a time. It ended up working out in the end, but we would have loved to spend a few more free days on our trip without rushing home. We left on our RTW in 2012, and 2,501 days later…we are still on it. We’ve explored 56 countries together across all 7 continents and even wrote a book for National Geographic about our travels. A trip around the world is NOT a string of vacations, it’s unlike any other journey. It requires a fair bit of planning and a savings account to match your style of travel. As long-term travel coaches, we only recommend an RTW ticket for someone going on a trip shorter than four months. Everyone else should buy flights a la carte using miles + dollars; it’s cheaper and gives you way more flexibility. Traveling around the world will truly change your life and we can not recommend it highly enough. We started HoneyTrek Trip Coach because we remember how scary and complex it was to prepare for our departure. If you are looking to chat with someone who has done a multi-year RTW and has helped other people mobilize their journeys (70+…even someone $1,000s in debt! ), reach out to us! Route: I traveled to Asia, Australia, and South America to and from the UK for 10 months. 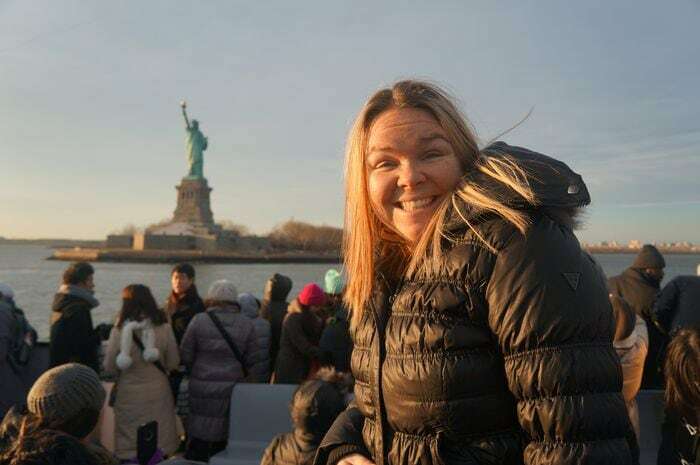 RTW Travel Tip – Use the Oneworld Site When I was researching my round the world travel trip, I initially started working with a couple of travel agencies to help me to put the itinerary together – but it just didn’t quite work. I had a set budget and a list of preferred destinations and wanted to know which combination of destinations would work best with my budget but I just couldn’t get a straight answer until I started hunting around to see if I could buy my ticket direct. The Oneworld Alliance is an alliance of leading airlines including British Airways, Qantas, Cathay Pacific, and American Airlines and guess what… you can book your Round the World ticket direct on their website. I always tell anyone considering buying an RTW ticket to check out the site – it is a bit clunky but you can add in your destinations and it gives you a price right there and then -meaning you can make a custom itinerary really easily and cut out the third-party booking fees. When I did book my ticket with them, I ended up covering all the destinations I needed and saving over £500 from what I’d been quoted. Double win. All that was left for me to do was pack and hit the road! Alexa these are amazing trips. 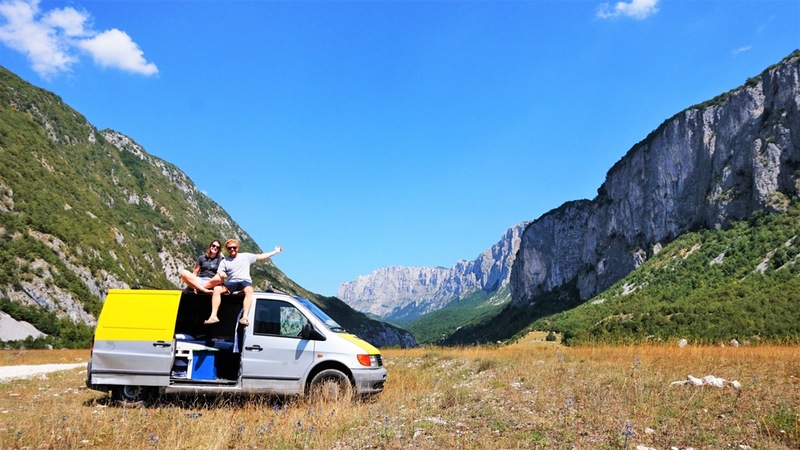 We love doing slow travel; a few months in 1 country on a house sit, then we move forward. 1 month minimum. Gotta get a feel for the place. Pinning this for later! So many great tips and ideas here. I’d love to do an RTW trip one day. Will definitely be coming back to this list for some inspo and tips once I get that plan in the works.